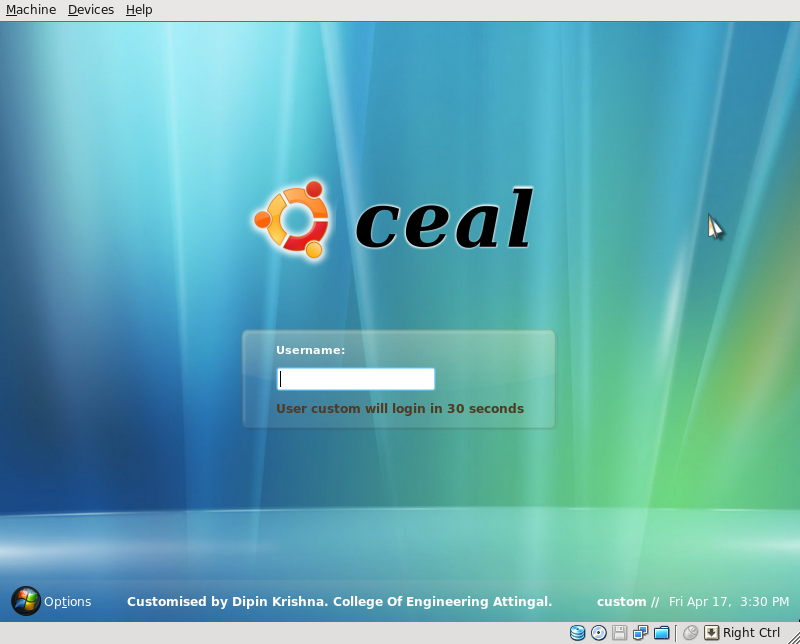 Create your own login screens in ubuntu..
* An xml file, where the actual theme is defined. This file allows the declaration of frames, images, the login box, caps lock warning frame, background, icons, multi-language captions, etc. * The GdmGreeterTheme.desktop file, which is not a true .desktop file, but it contains the name of the xml, screenshot and other information to be displayed in the GDM Configuration screen. 2. Now copy the images to the directory and create a the xml file…. Next, you will have to reposition your prompts menus, labels and icons in order to match your background image. Even though you can make it all transparent, a centered login box might not always the best choice.